From Charlotte’s Blue Blaze Brewing Company, Amber Blaze is an American Amber Ale. It’s malty, as you’d expect. Some honey and toast in the nose. The middle is bready, and there’s a bit of lemon in the finish. The body is medium and the alcohol is a moderate 5.6% ABV. It’s a perfectly nice beer, but unremarkable. I give it a 3.2 out of 5. This entry was posted in Reviews and tagged Ale, Amber Ale, Blue Blaze, Charlotte, North Carolina on February 19, 2017 by Xander. 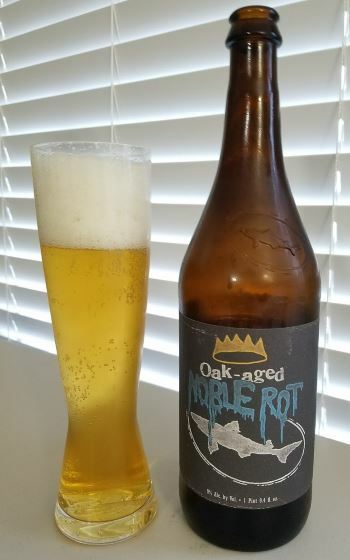 I’ve long been a fan of Dogfish Head’s Saison-ish Noble Rot. Take it and age it in oak? I’m definitely down. It’s based on the saison farmhouse style, and then infused with grape must before finally being aged in oak for nearly a year. I originally compared Noble Rot to white wine, but once you age it in oak, it’s an order of magnitude closer. The nose is grape and a bit of yeast, the middle has grass and vanilla and is slightly tart, the finish is woody with vanilla and butter. 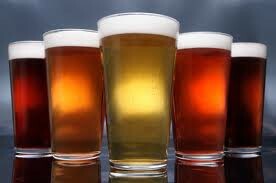 The body is medium, the alcohol is big for a saison, little for a white wine at 9.0% ABV. I give it a 4.3 out of 5. This entry was posted in Reviews and tagged Aged Ale, Ale, Delaware, Dogfish Head, Fruit Ale, Fruit Beer, Oak Aged, Saison on February 14, 2017 by Xander. Grapefruit Sculpin is a variation on Ballast Point’s sublime Sculpin IPA, with the grapefruit turned up a notch or ten. The grapefruit is definitely the signature note here, and while not overpowering, is in evidence throughout. The nose has the essence of grapefruit oils, along with some lemon and floral notes. The middle has tart and sweet grapefruit, fading to bitter rind and a hint of pine in the finish. Every bit as good as the original Sculpin, and because I personally love grapefruit, I might even like this one better. The body is medium and the alcohol is a nice 7.0% ABV. This entry was posted in Reviews and tagged Ale, American IPA, Ballast Point, California, Fruit Ale, Fruit Beer, IPA, West Coast IPA on February 9, 2017 by Xander. Lacking in vigor. Very little head, no carbonation to speak of. Nose has some slight cocoa notes. The middle has weak cocoa. There is little else here. The finish is non-existent. My overall impression is that it is flat and flavorless. The body is medium, and the alcohol is a reasonable 5.0% ABV. It may be a bottling issue that the example I got was off, or not sealed properly, but until I know otherwise, there’s nothing here to particularly recommend. I give it a 2.5 out of 5. 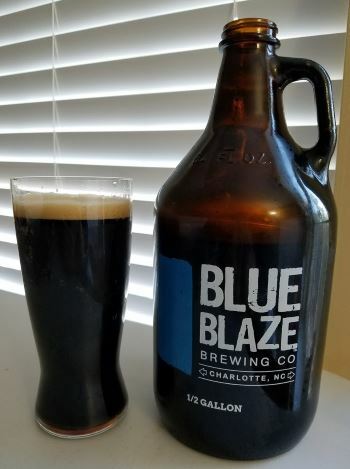 This entry was posted in Reviews and tagged Ale, Blue Blaze, Charlotte, Milk Stout, North Carolina, Stout on February 4, 2017 by Xander.